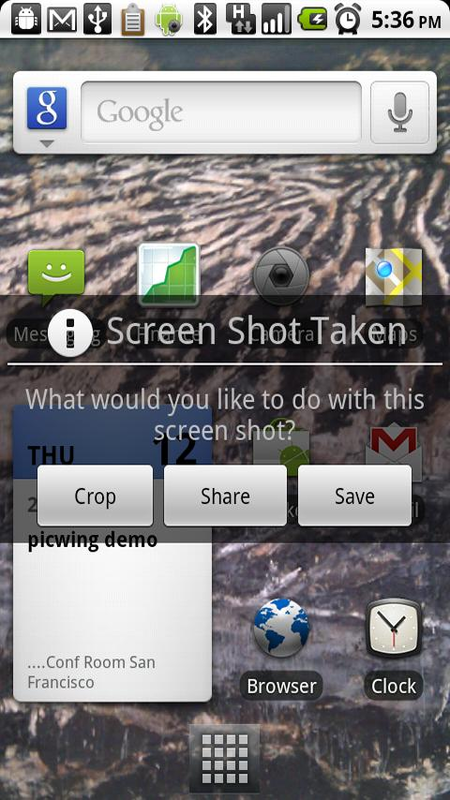 This is part 2 of the roundup, which features applications and live wallpapers. 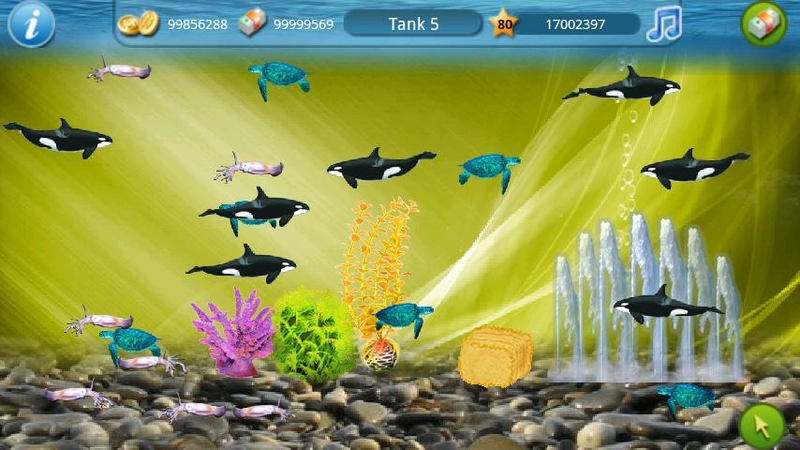 For games (including a WTF game), see 30 Best New (And 1 WTF) Android Games From The Last 2 Weeks (6/17/11 - 7/1/11). 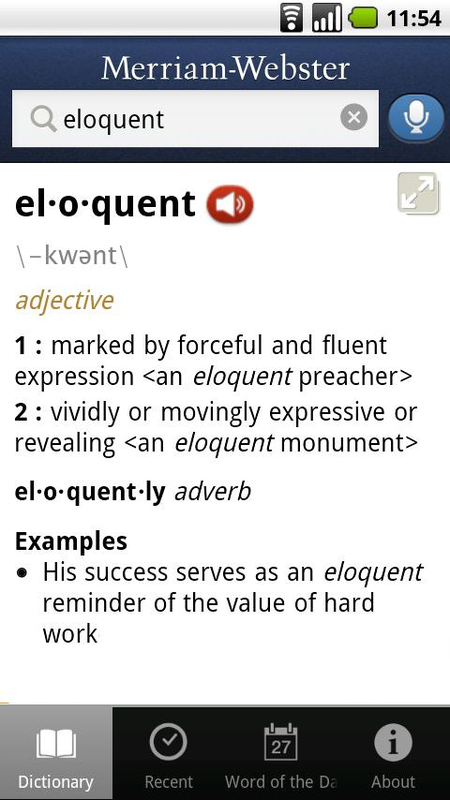 Google Plus is without a doubt the product of the week, month, and probably even year, for Google, and the Android app is going to be as essential in the future as the Twitter and Facebook apps are now. Get ready to make friends with this one, because unlike Buzz and Wave, this one is definitely on the way to the top, and you can quote me on that in a year. Real-life sharing rethought for mobile. 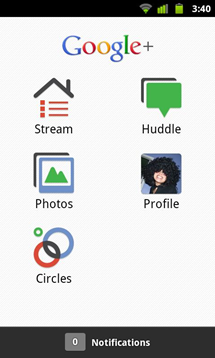 Google+ (Google Plus) is still in active development and not yet available to everyone. You need an invitation to sign in. 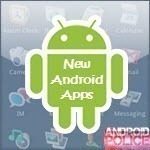 Official video player for Android Market movie rentals. 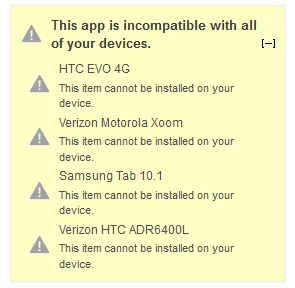 Currently only works on the XOOM Wi-Fi (the Verizon XOOM already has this functionality). Watch Hulu Plus on select Android devices (subscription required). 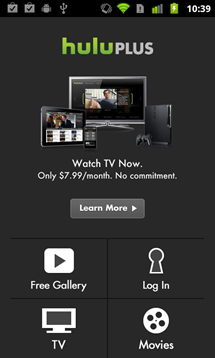 Hulu Plus is available on the following devices: Nexus One, Nexus S, HTC Inspire 4G, Motorola Droid II, Motorola Droid X, and the Motorola Atrix. Support for additional devices will be announced throughout the year. 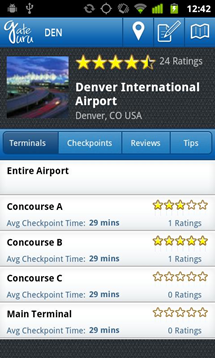 GateGuru is the leading day-of travel application that covers over 120 airports across the United States, Canada, Europe, and Asia. 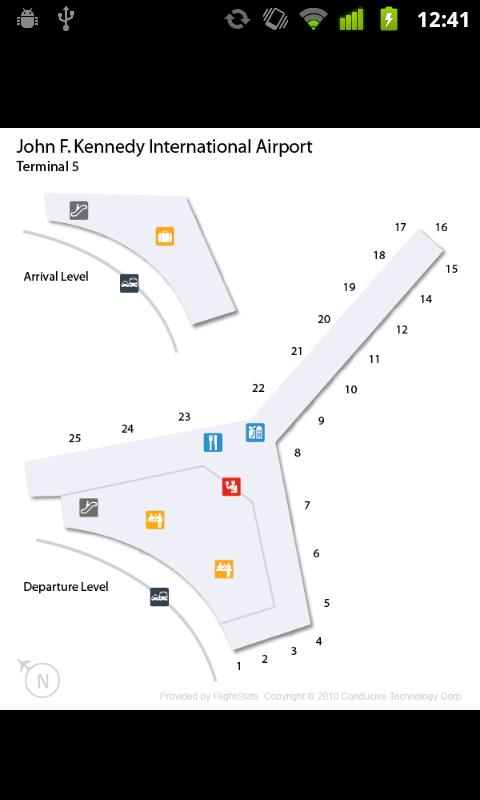 We have created GateGuru to serve as a valuable resource from the minute you leave on your day of travel to the minute you arrive at your destination. 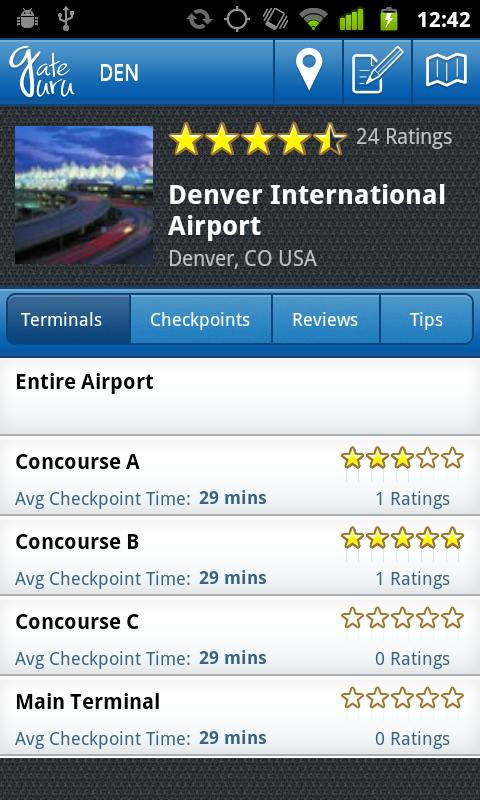 The application allows you to view your Tripit and KAYAK itineraries, view / post airport security wait times and see a structured list of airport food, shops and services - including over 25,000 reviews and tips and 5,000 photos from fellow travelers on airports, terminals, and airport amenities! 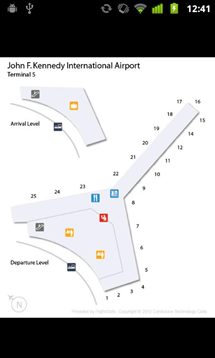 Note: We cover over 94 top US airports, 7 of top 10 European Airports, and 5 of the top 10 Asian airports with over 50 new European and Asian airports coming in a few months. This is one of the best application UIs I've ever seen in the Market. Very good work, Sports Tracker team. Turn your mobile into a social sports computer with Sports Tracker – now finally for Android! Track and analyze your performance, share workout data and photos with your friends, and most of all – get fit and stay healthier. 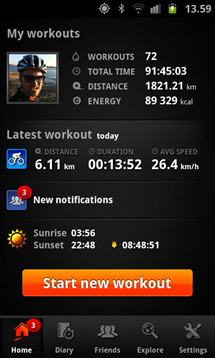 Sports Tracker for Android supports the Polar Wearlink + transmitter with Bluetooth heart-rate belt. Sold separately at http://shop.sports-tracker.com. Ubuntu One’s files app for Android gives you the freedom to take your files, photos and more with you and access them on the fly. 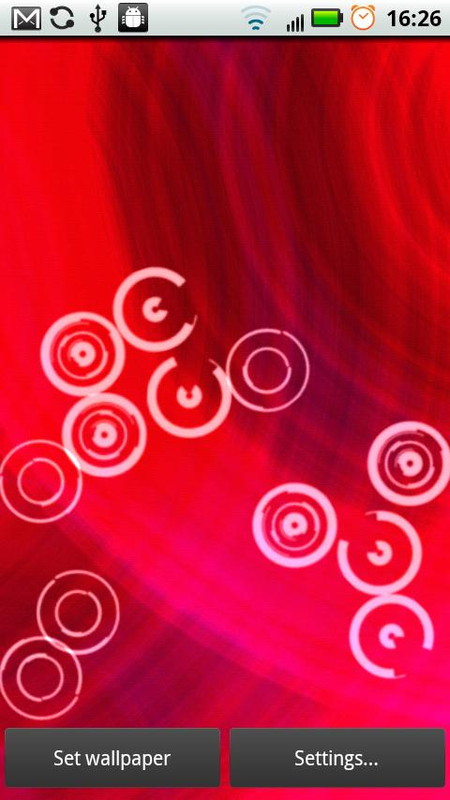 An Ubuntu One account is needed and you get the basics plus 2GB of storage for free. Once set up just simply download our free Android Files app and you can secure and manage your photos, files and folders directly from your phone anywhere in the world. 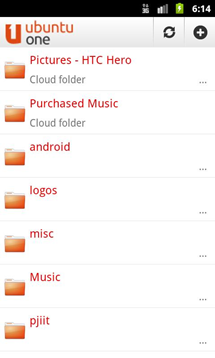 Ubuntu One files app once installed will automatically back up photographs taken from Android phone camera directly to your Ubuntu One personal cloud. 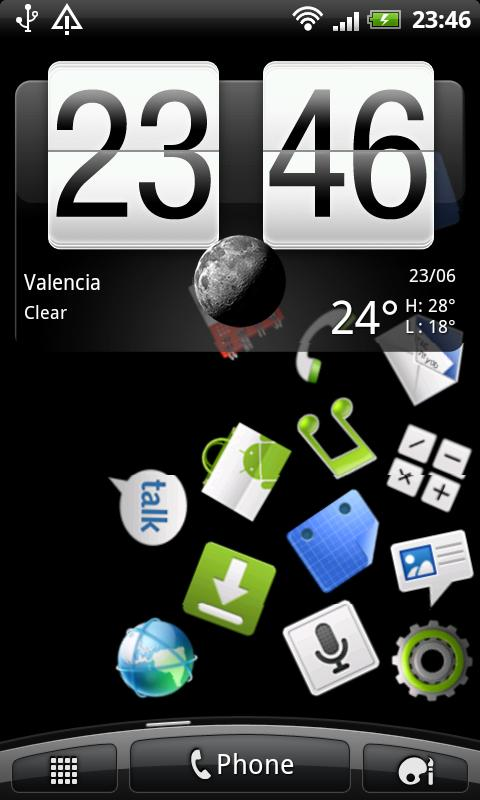 Not the most ideal way to take screenshots for unrooted users, but it's the best alternative there is. It requires connecting to a computer every time the phone is restarted for the app to be enabled, after which you can disconnect and take screenshots whenever you want until you restart again. Very interesting approach. The app brings The Times and The Sunday Times to Android smartphones for the first time, showcasing the depth of Times journalism, with the latest stories on your screen almost as fast as they are written and a design that allows you to navigate easily between stories; customise your app to find your favourite sections first; save articles to read later or when you are offline and send feedback directly to our team - 7 days a week, anytime and anywhere you want. Google's (who owns Slide) answer to Instagram/Color/etc. I'm not a fan of the UI though, it seems too amateurish. 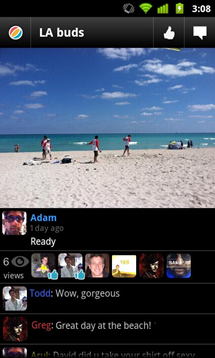 Pool Party is a simple, free photo sharing app. Create group albums and see your friends' photos as they happen in real-time. Pool Party is invite-only at the moment. If you haven't already been invited to Pool Party by a friend, you can visit our website (poolpartyapp.com) to request an invitation. Finally a free trial version of my favorite keyboard, especially on tablets. Really, read the above coverage and try it before you buy, if you haven't yet. Thumb Keyboard is a flexible keyboard that introduces a revolutionary and innovative "split" layout for Tablets and Phones. 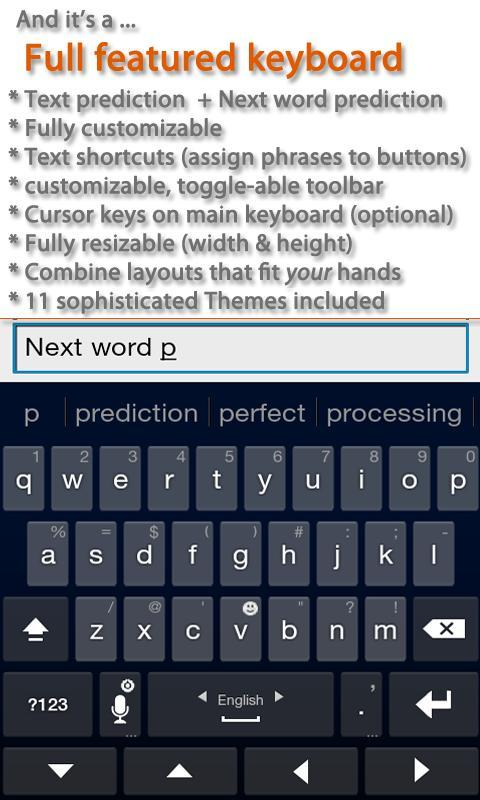 A layout that makes thumb-typing easier, more natural and more comfortable. 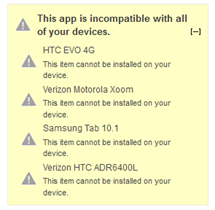 Besides that it is also a standard keyboard with many features one will not find on a regular keyboard. 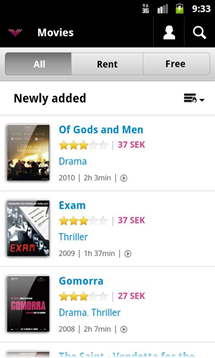 • Height and width fully customizable! 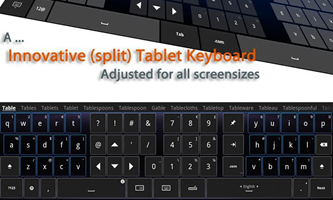 • Innovative split layout for small screens (phones): wider keys!! 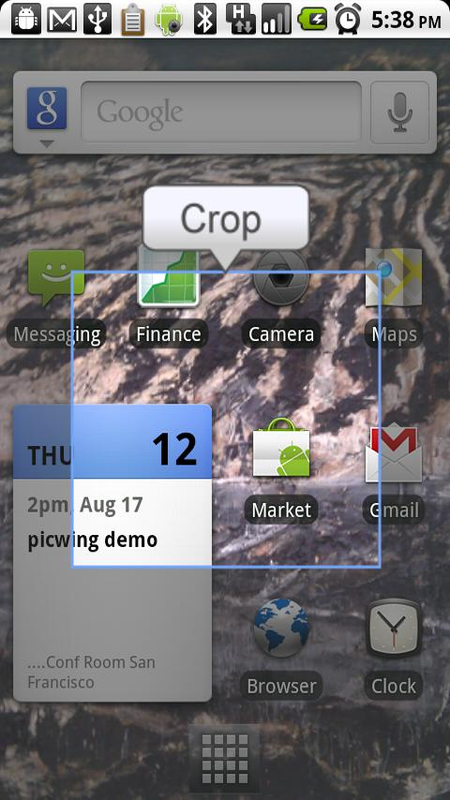 and better layout for thumb-typing in portrait mode (screenshot 3) and better accessible keys landscape mode (screenshot 5). • Split layout for Tablets and large screen devices: Better accessible keys for thumb-typing on 5", 7.1", 8.9" and 10.1" Tablets and 4"+ phones (screenshot 1 & 4). 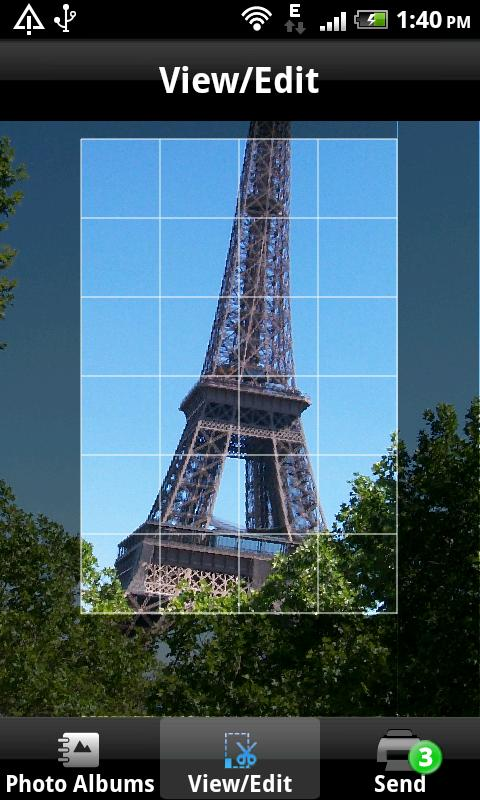 A "Visual Privacy" photo app developed with Witness (http://witness.org). Path, the controversial network where you're limited to only 50 friends, now has an Android app. 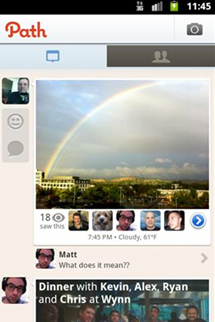 Path is the simple and private way to share life with close friends & family. • Capture and share life's moments through photos. 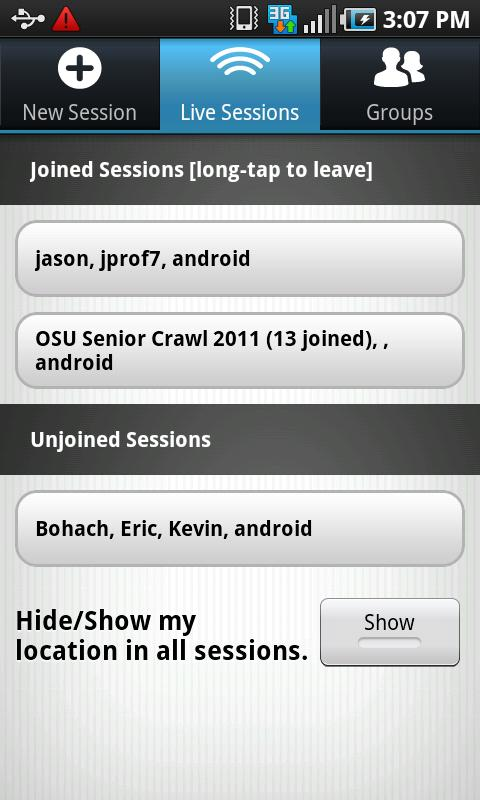 • Stay connected to a small group of 50 close friends & family via Android, iPhone, Email, Web, or Facebook. • Tag your moments with people, places, and things. • View your friends' moments. • Know when your friends have seen your moments. • Let your friends know how each moment makes you feel with Emotion. 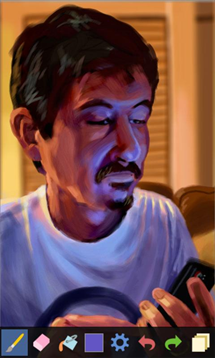 • Have intimate conversations around each moment with Chat. 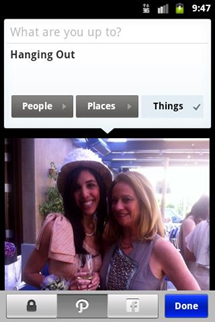 • Publish the occasional moment on your Facebook Wall for all of your Facebook friends to see. • Be yourself on the simple and private network you can trust. Bring Yelp to this, and I'll be all over it! If you check-in more than once a week, you need Checkin King. 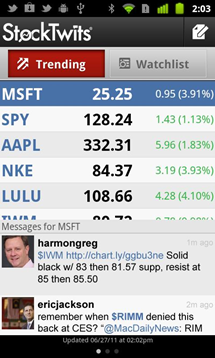 Unlike all other finance and stock apps, the StockTwits app enables you to discover what’s new, listen in, and learn from talented investors and traders as they make real time moves in the market. Want to share an idea of your own? 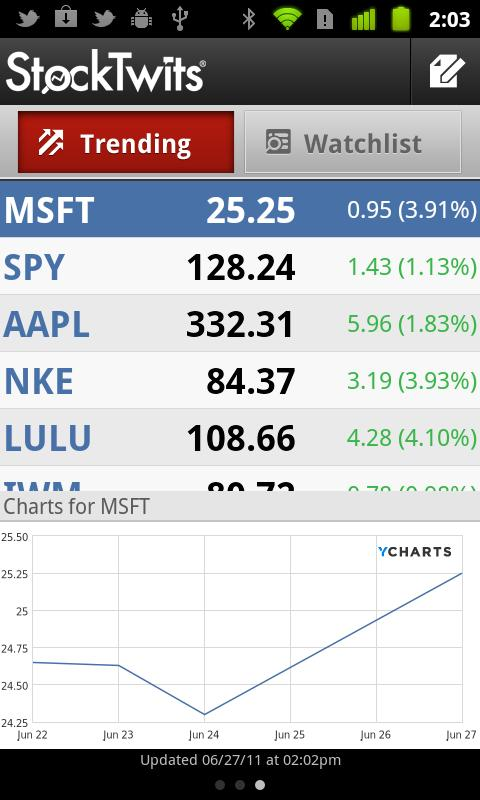 Just send a message or reply to traders and investors via the app. 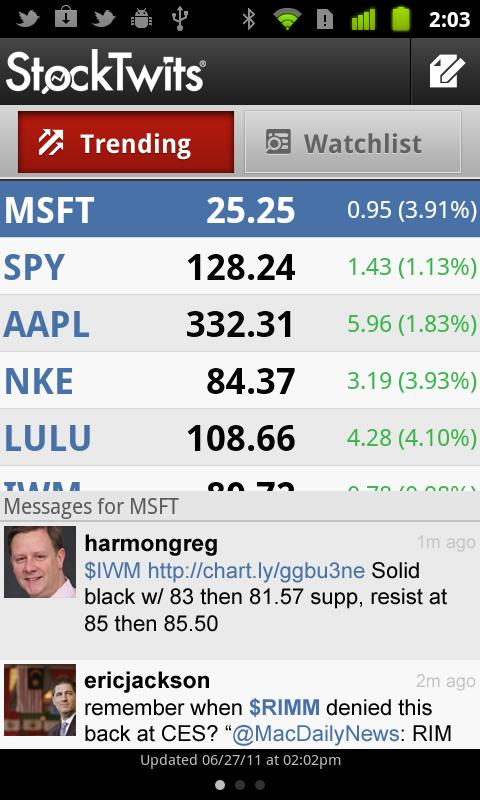 Your messages are shared to others directly, or to StockTwits, Yahoo! Finance, Bing Finance, CNN Money, Reuters, Twitter, and LinkedIn all at once. From Paris, Hong Kong and New York, the International Herald Tribune app for Android provides a fresh and original take on the world’s daily news. 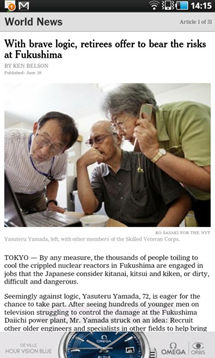 Drawing on its global newsgathering operation with The New York Times, the IHT selects the international news, business, culture, style, sports and opinion articles that tell you what is happening around the world and what it means. 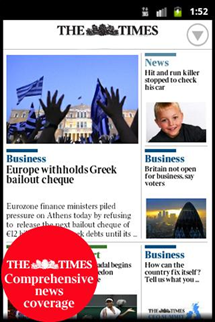 • World news articles are fully refreshed for the Europe and Asia mornings, and the app includes a Latest News section from global.nytimes.com to keep you updated on the breaking stories that matter throughout the day. 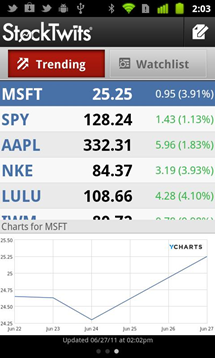 • The comprehensive Business with Reuters section provides market and company news and analysis, and helps you connect the dots in global finance and economics. • Heavy-hitting columnists like Roger Cohen, Thomas L. Friedman and Nobel prize-winner Paul Krugman appear alongside a revolving cast of influential and provocative global thinkers in the must-read Views section. • Culture & Style takes you to fascinating corners of the international art, film, theater, design, music and literature worlds, and Suzy Menkes offers unrivaled coverage of fashion, from the catwalks of Europe to the shopping malls of Brazil. 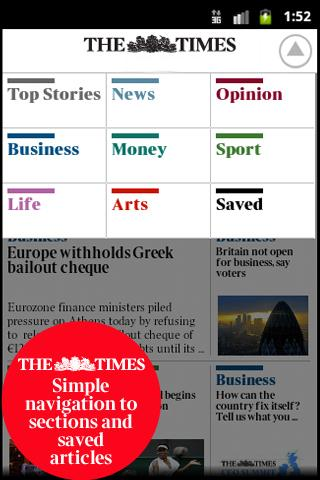 •Soccer, golf, tennis, Formula One racing, rugby, cricket, baseball, football and athletics are all there in the world Sports section, along with the passionate and insightful journalism of Rob Hughes and Christopher Clarey. 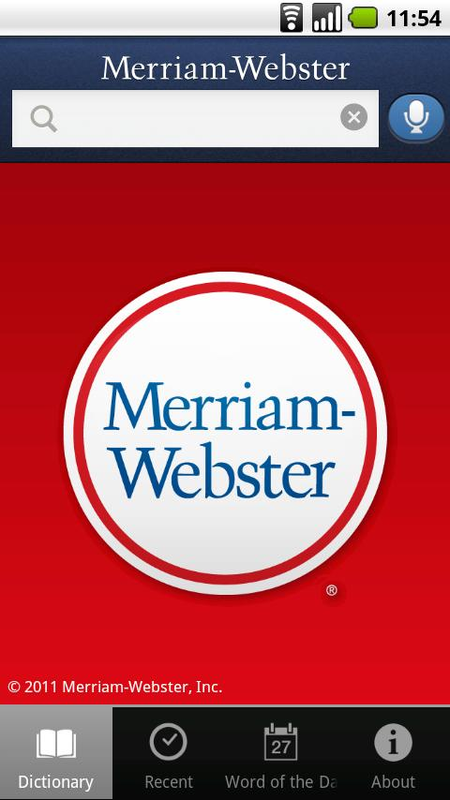 The app is free until later in 2011. 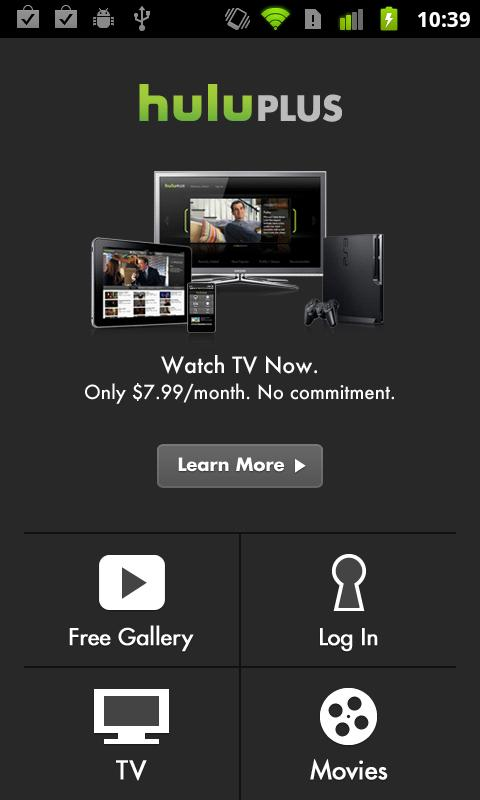 To get unlimited access to all sections, simply register when prompted within the app. 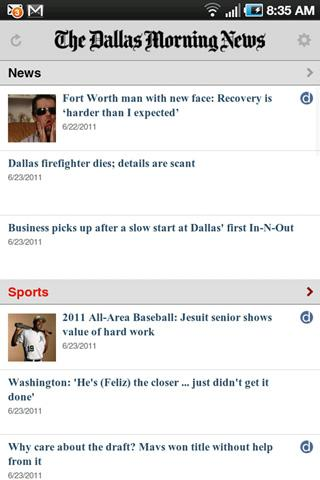 From Breaking News and Things to Do to Weather and Entertainment, The Dallas Morning News Android app gives you local news and information that slides right into your world. This is the next generation of The Dallas Morning News you’ve been waiting for! 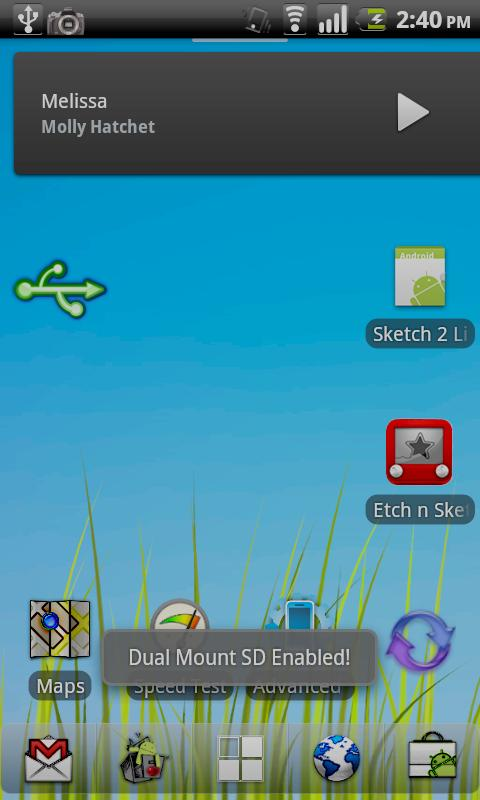 Yet another alternative to Tasker (free). 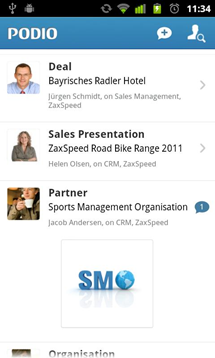 Impel is a trigger-based, automated event manager. 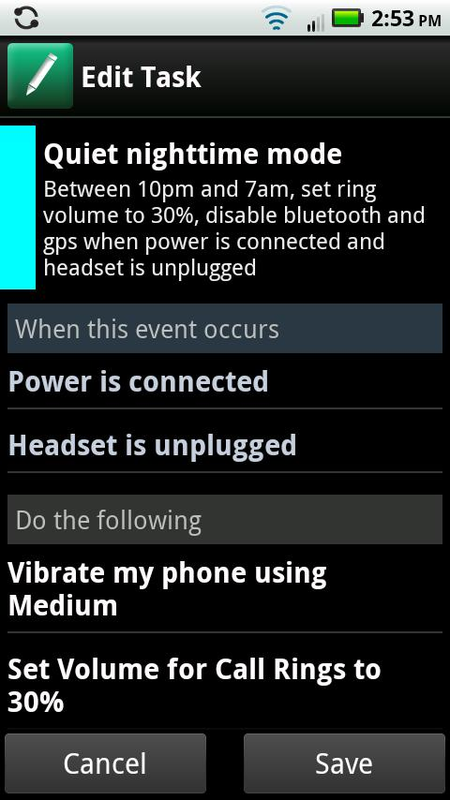 What that means is that when normal activities occur, like a Bluetooth device connection or a map location being reached, Impel can start an event or change a setting without any interaction from you. This means more time doing the stuff you love and less time fiddling with preferences, switches and applications. 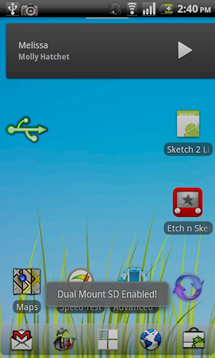 Two tasks are provided as an example of different task types. They can be modified or removed as needed. 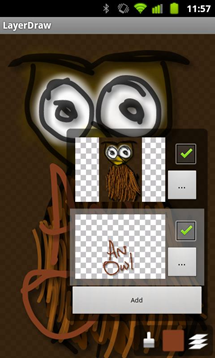 LayerDraw is an image editing program that is optimized for tablets and phones. You can draw images in portrait or landscape mode, create separate layers for each part of an image, set background colors for each layer, move and resize layers, and (on Android 3.0 and above) set the opacity (alpha) for each layer. Create custom Brushes for everything from drawing simple lines to drop-shadowed lines, fill areas, neon effects, fade, re-paint existing lines, color empty areas between other areas, and more. 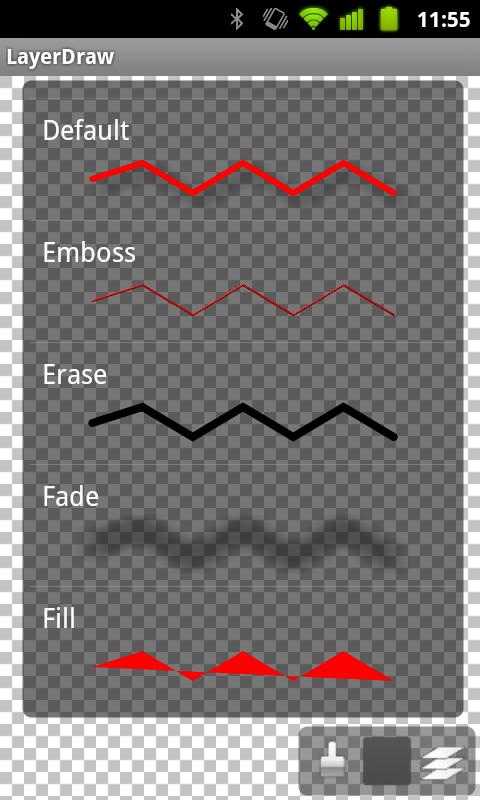 Brushes are also pressure-sensitive -- Press harder to draw wider lines or more intense colors. 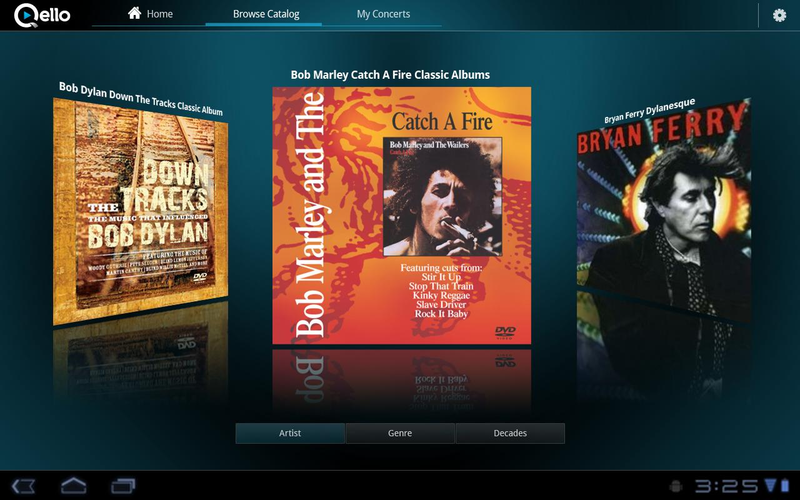 The lite version now lets you try Fresco for free. 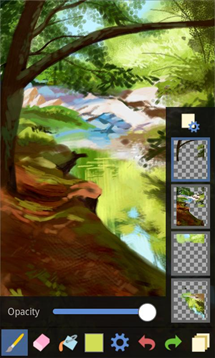 Fresco is a powerful painting and image editing app that features layers, filters, an intuitive interface and more! Designed for both novices and professionals, Fresco has everything you need to create digital artwork on your phone or tablet. - Add, duplicate, merge, hide/show and reorder layers. - Transform layers by scaling, rotating, moving and mirroring. - Create interesting effects with the blur, sharpen, emboss, noise and vignette filters. - Adjust image colors with the brightness, saturation, exposure and posterize filters. - Configure the texture, size and opacity of the brush and eraser tools. - Select colors using the color palette, HSV color picker and eye dropper tools. 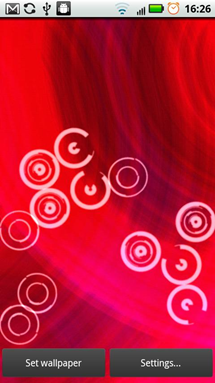 - Use gestures for zooming and panning. - Reverse mistakes with the robust undo system. - Export your work to Adobe® Photoshop® format (.PSD) with layers intact. - Import and position photos on the canvas. - Your work is kept safe by the autosave feature. 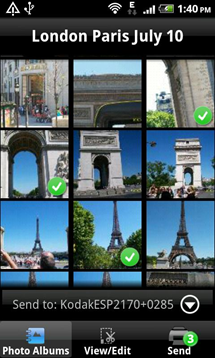 - Share your images with other apps to upload to Facebook, Twitter, Dropbox and more. 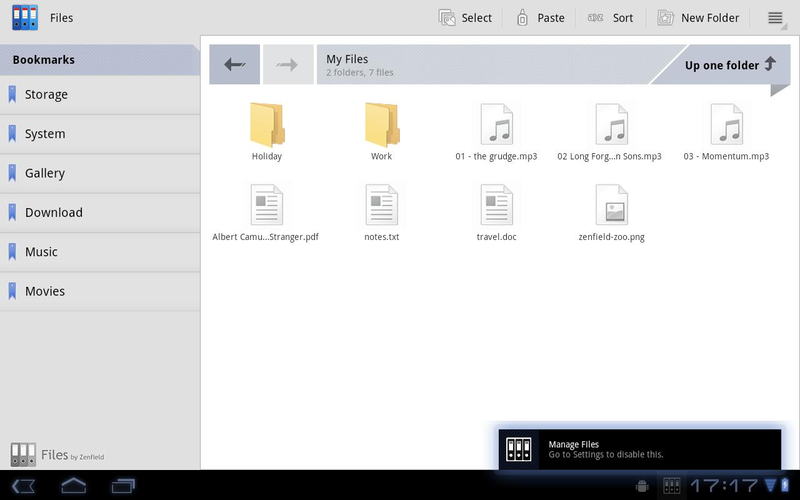 - Fresco uses less than 1Mb of storage space and is optimised for speed. This app lets you watch ITV programming in the UK, but it's currently catching a lot of flak for requiring an email address before it can be used. 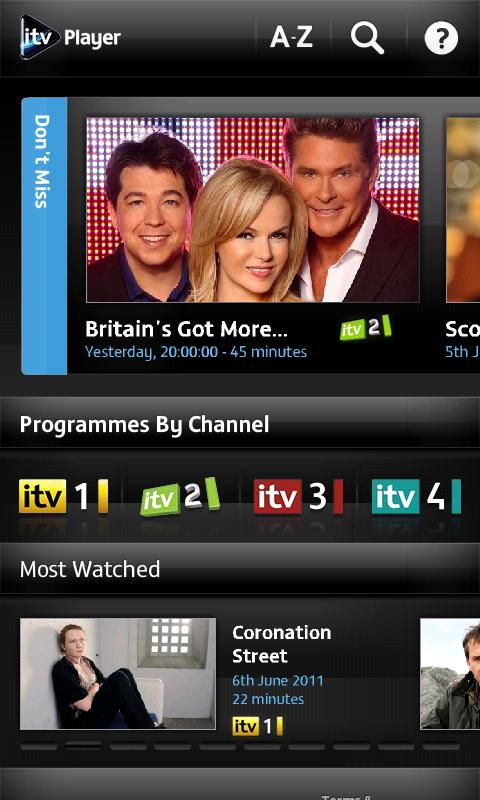 Not the best way to introduce your app, ITV. Ouch @ the 1-star majority reviews. 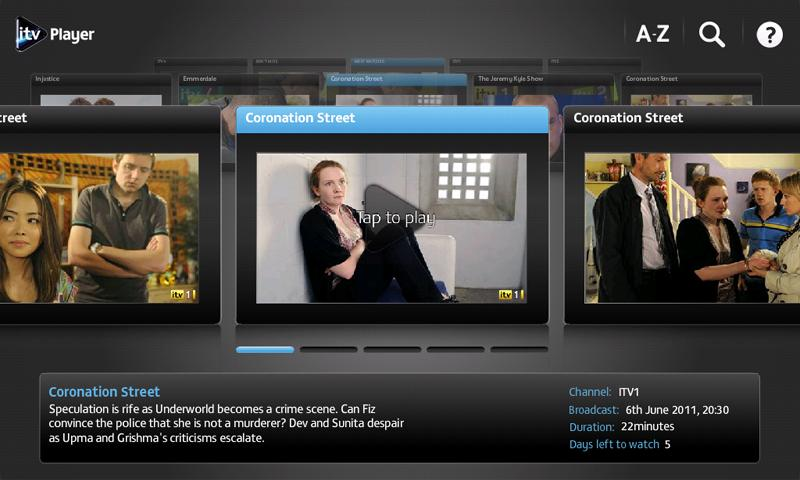 You can watch all ITV programmes that we have the rights to show on mobile, for up to seven days after broadcast. You must be in the UK to view our programmes. Unfortunately we’re unable to show our content to users outside the UK. 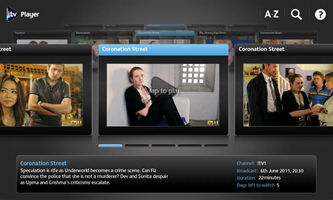 People in some regions will be restricted to only viewing ITV2, ITV3 and ITV4 programmes. Beta version of one of the most popular Android browsers, except now in the Market rather than on their blog. 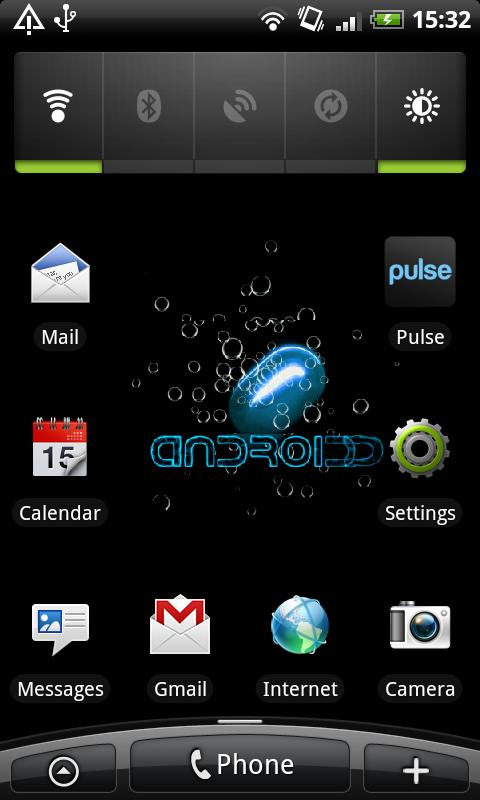 Dolphin Browser HD (Webzine) Beta is a beta version of the new Dolphin Browser HD. The Webzine feature changes the way we browse the mobile web, touch friendly & easy to use for your mobile phone. Podio is a work platform with the ambition to change how we all work. Our take on work tools: You build it yourself. You can create as many spaces as you need and invite others to work with you in your spaces. Podio comes with social features and has everything you need to get your work done. Build your own apps using your own language to manage processes and collaborate. 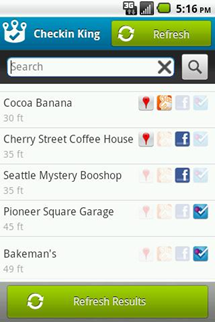 The Podio Android app puts the core functionality in your pocket. 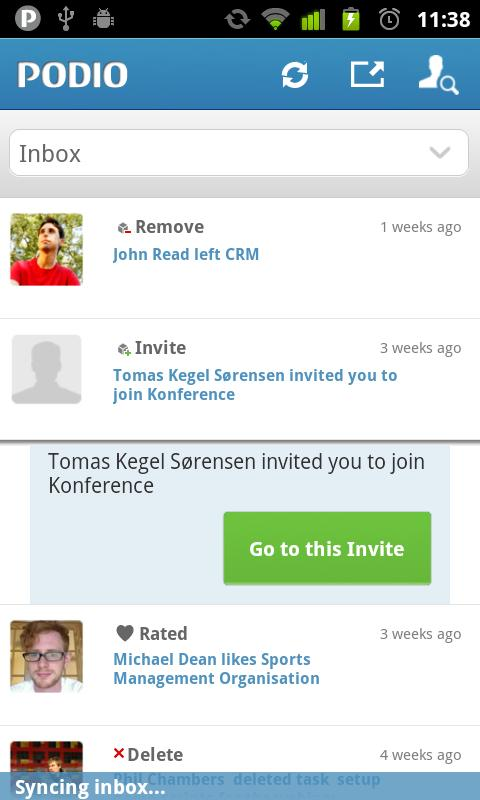 • Stay on top of important notifications, invitations etc. 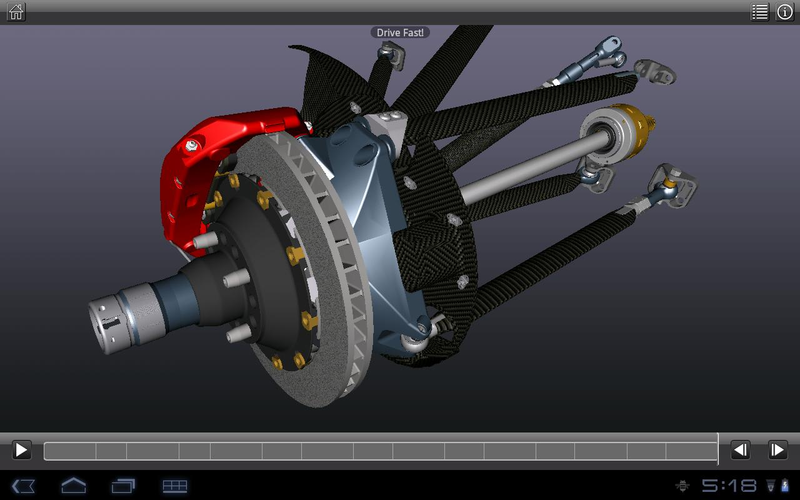 Autodesk Inventor Publisher Mobile Viewer allows you to view interactive, animated 3D assembly instructions created with Autodesk Inventor Publisher desktop software. 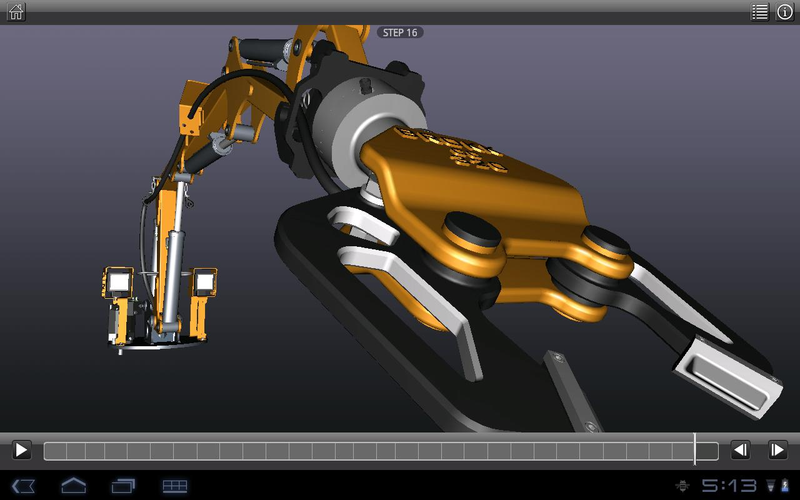 ✓ Create, publish, and deliver instruction files to mobile devices using the Publish to Mobile capability of Autodesk Inventor Publisher desktop PC software. 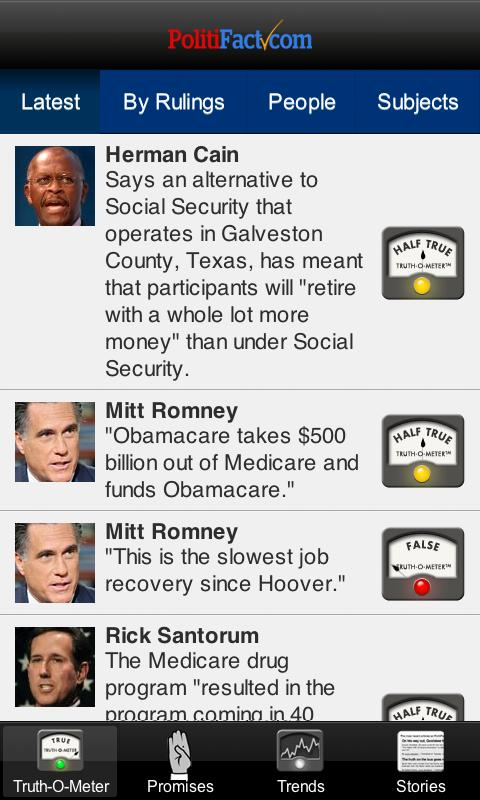 Politifact is absolutely great for those interested in politics. Now with an Android app to see all the lies on the go. The Truth-O-Meter is now portable! 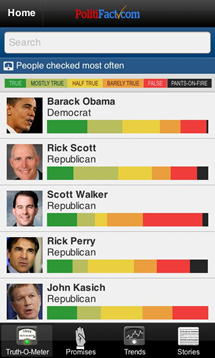 PolitiFact Mobile puts Pulitzer Prize-winning fact-checking on your smart phone or tablet. 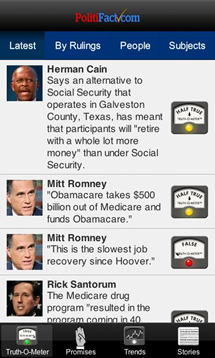 PolitiFact Mobile makes it easier than ever to get the truth about American politics. 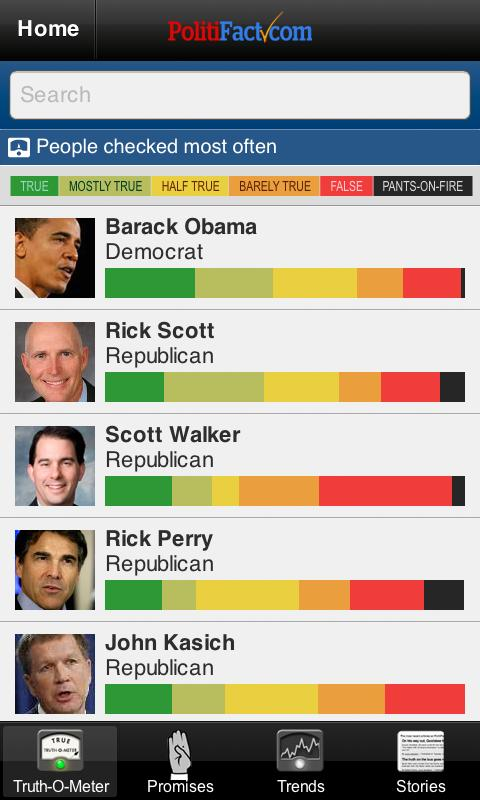 It is produced by PolitiFact, the Pulitzer Prize-winning website, and includes the new Truth Index as well as mobile versions of the site's most popular features -- the Truth-O-Meter, the Flip-O-Meter, the Obameter and the GOP Pledge-O-Meter. - First app dedicated to fact-checking! 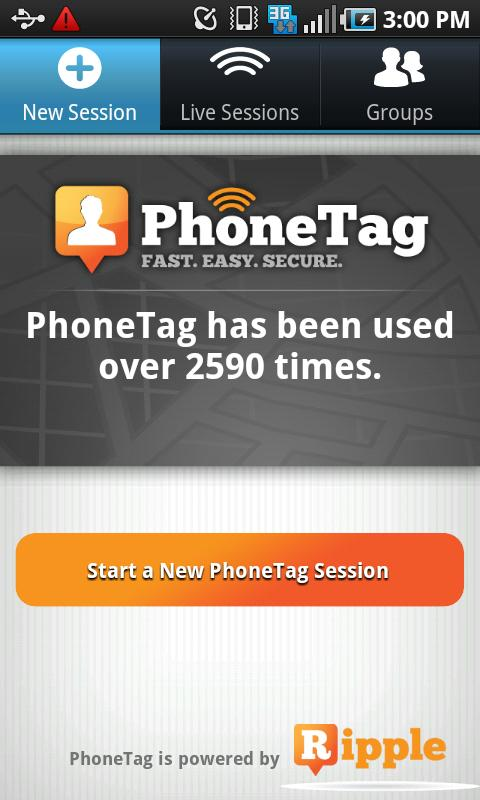 First the phone, then texting, now Ripple PhoneTag. 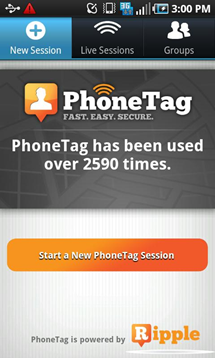 Patent Pending Ripple PhoneTag is a free Android GPS app that lets you securely share your location and see your friends’ locations – then communicate with each other in real time. 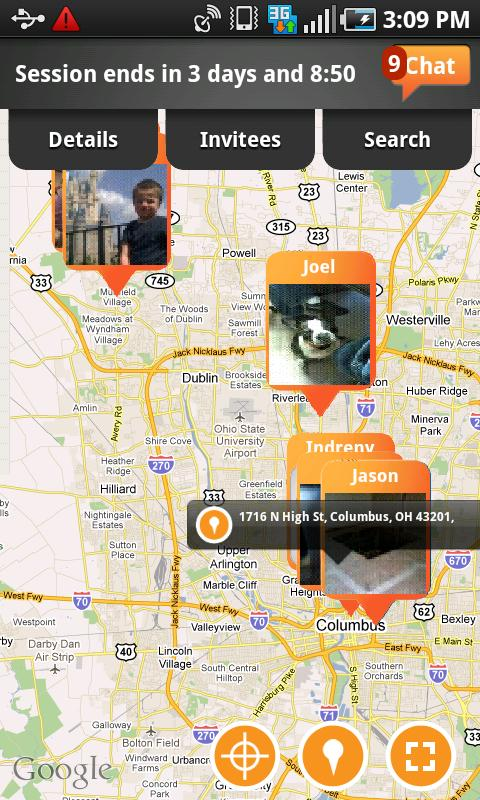 It’s location sharing that is as simple as sending a text message. Watch UFC events live on your Android phone. Most UFC Pay-Per-Events will include the option to view in four different camera angles. 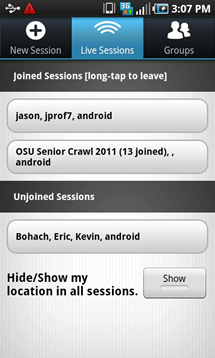 Also, purchase any past events or individual fights from the Fight Library within the Android application. And, watch Press Conferences and Weigh-ins live and for free. 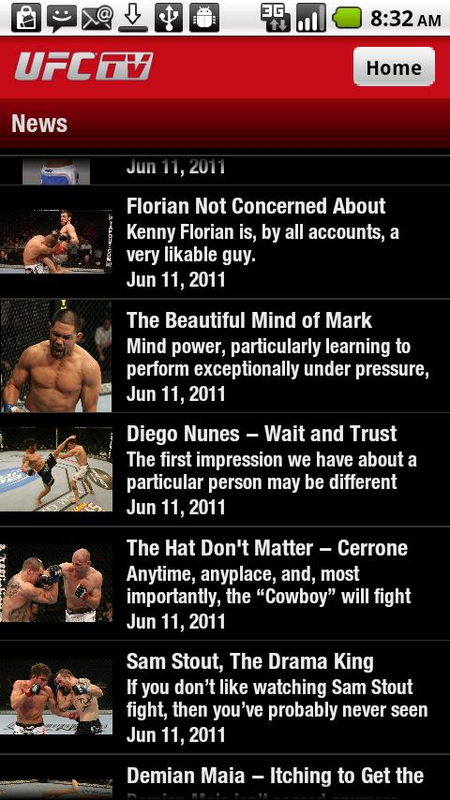 View Fighter profiles of your favorite UFC fighters and get the latest News and TV Schedule. Perfect for the Ultimate UFC fan! 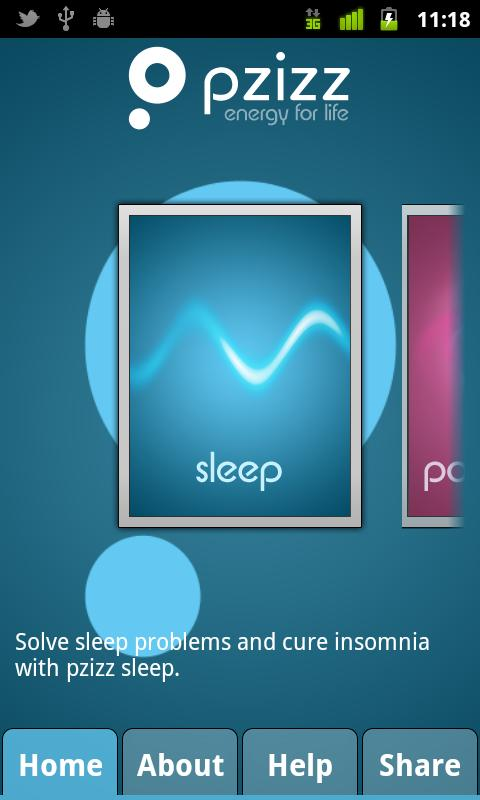 Not sure about this app, as it's over $5, but it claims to have the most advanced sleep technology. Anyone care to try and report back? The worlds most Advanced Sleep Technology! Cure Insomnia. 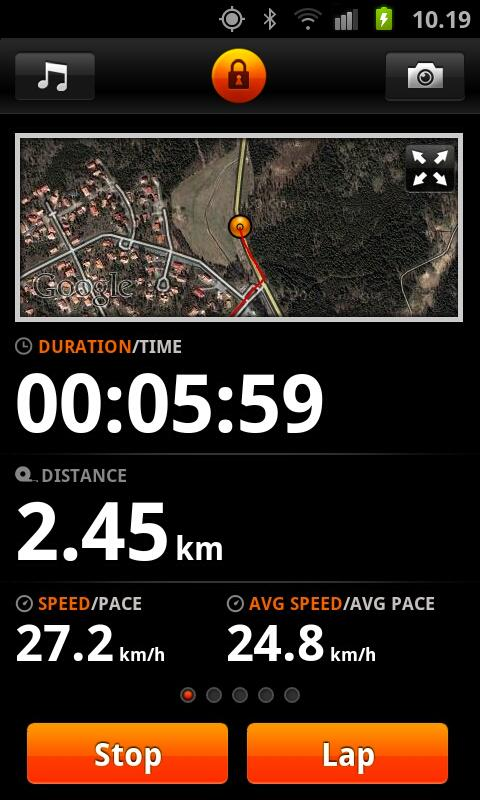 Feel Energised. Life is better! With pzizz. 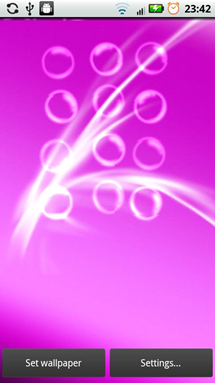 pzizz Sleep technology has already been used by nearly 500,000 people worldwide!.. 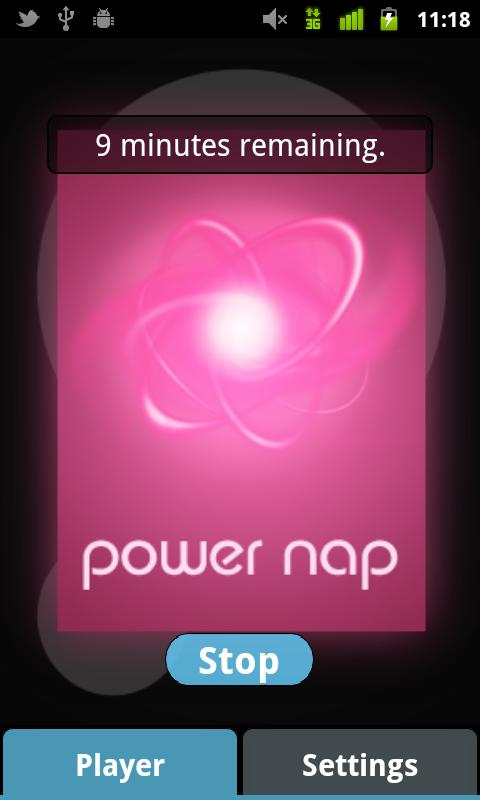 pzizz PowerNap - Boost energy and reduce stress by turning your Android device into the ultimate power-napping tool with pzizz powernap! 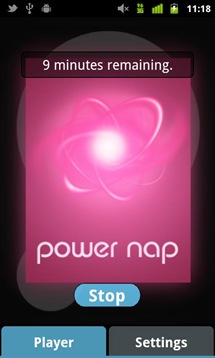 Using the pzizz powernap app will reduce stress and boost your energy. Taking just a few minutes out of your day to relax, you can boost energy in a completely natural way. By playing a unique and calming soundtrack of words and music, pzizz powernap relaxes your mind and body, removing you from the stresses of a busy day. pzizz Sleep - Solve Sleep Problems and Cure Insomnia with pzizz Sleep. The pzizz Sleep app is the ultimate tool for people who find getting to sleep at night problematic. By playing a unique and calming soundtrack of words and music, pzizz Sleep relaxes your mind and body and takes you into a deep sleep. Print and share pictures with a touch. Easily print pictures on a wireless KODAK All in One Printer*, or send pictures to a KODAK Digital Picture Frame**. 2. Print any size from 4" x 6" to 8.5" x11"
4. Send pictures wirelessly to your KODAK All in One Printer or KODAK Digital Picture Frame. * The KODAK Pic Flick App is compatible with the KODAK ESP 9200, 7200, 5200, C300 Series and ESP Office 6100 and 2100 Series All-in-One Printers. 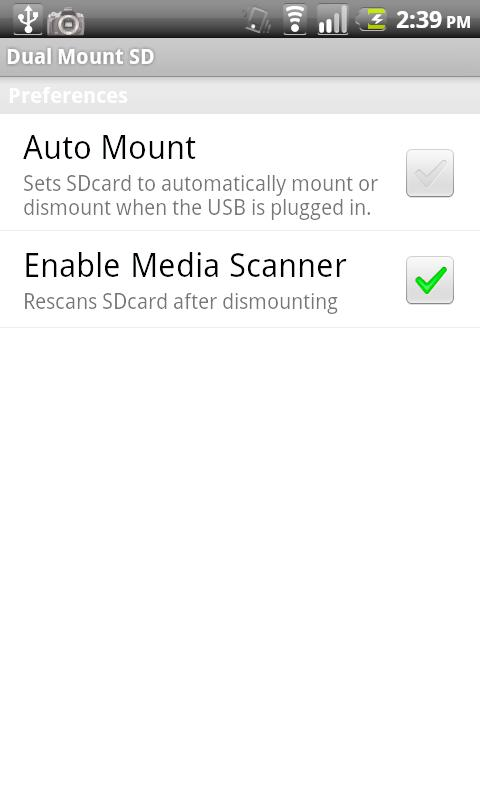 ** The KODAK Pic Flick app is compatible with any KODAK PULSE or KODAK EASYSHARE W820 / W1020 Digital Picture Frames. 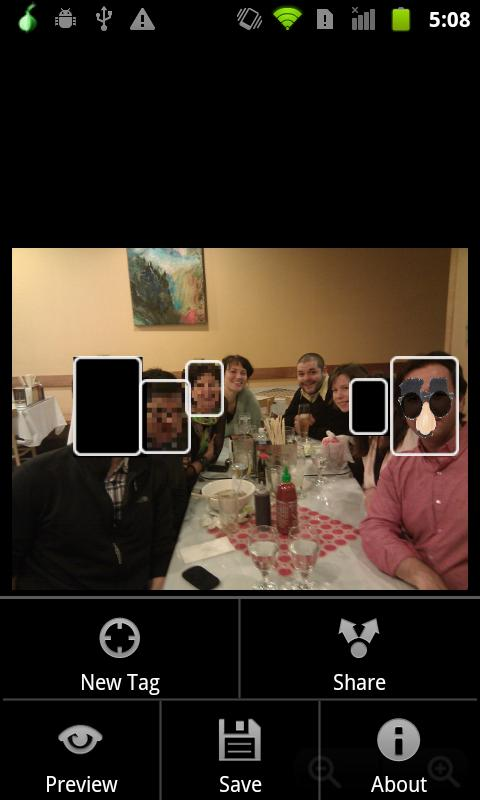 Viewdle's facial recognition technology now starring in an augmented reality app/game. Interesting idea, definitely interesting. The power of the ThirdEye relic has stirred humans to understand their true nature - see if you are a Vampire or a Slayer with Third Eye in Beta by Viewdle (www.viewdle.com)! 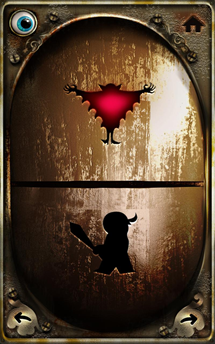 Use Viewdle face recognition technology to recognize the Vampires and Slayers near you, in the world's first vision-based mobile reality game. Finally realize the potential of your smartphone with immersive graphics, accelerometer gameplay, and real computer vision effects! Check out Part I in the 3-game trilogy! Hunt your enemies. Build your army. The battle is nearing! Which side are you on? 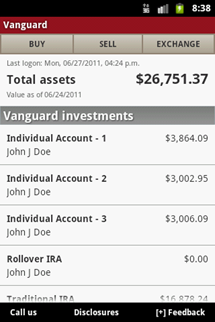 If you're a Vanguard investor or a participant in an employer-sponsored plan, Vanguard's free application for the Android platform gives you up-to-date information about your account (including recent transaction history), lets you perform many types of transactions in both retirement and nonretirement accounts (excluding employer-sponsored plans), research Vanguard investments, get the latest market news and commentary from Vanguard and Reuters, and share our content with friends and family through e-mail and social media. 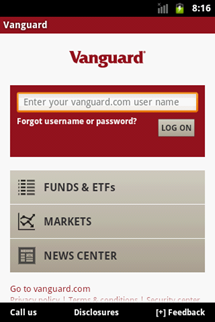 — Monitor price and performance information on Vanguard ETFs and mutual funds. 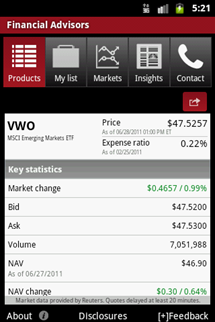 — Create and follow your investment watch list. 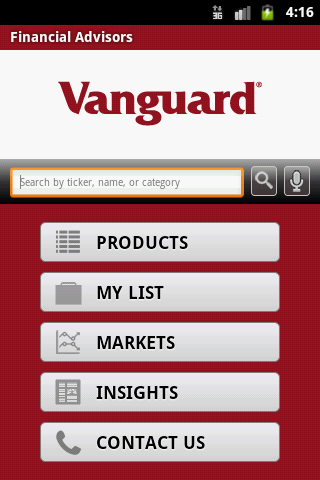 — Get the latest Vanguard product news and Market news. 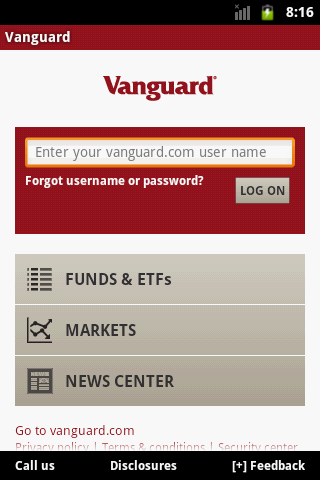 — Tap into proprietary research and commentary. 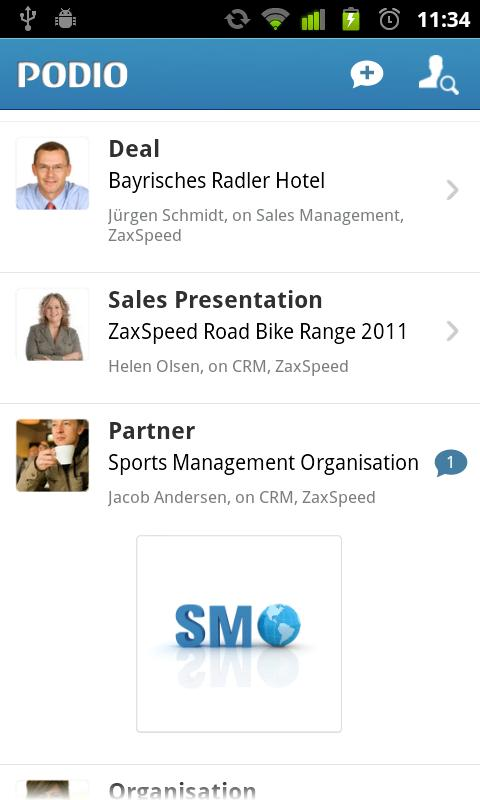 — Share information with colleagues or clients quickly and easily. Join the ProBoards community to explore and interact with thousands of forums, ranging over a variety of topics and interests. It doesn't matter if you've been a member for 11 years or if you're brand new to ProBoards forums. You can browse our forum directory, add favorites and visit a multitude of unique and engaging forums in an easy to read, easy to manage environment. View the newest topics from a forum in one simple location. 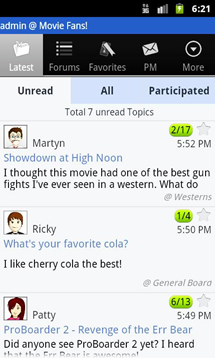 Easily create new topics and reply to existing ones. Send and receive personal messages. Bookmark your favorite topics for later viewing. Add images to posts directly from your phone -- and most importantly, have fun! Updated app! 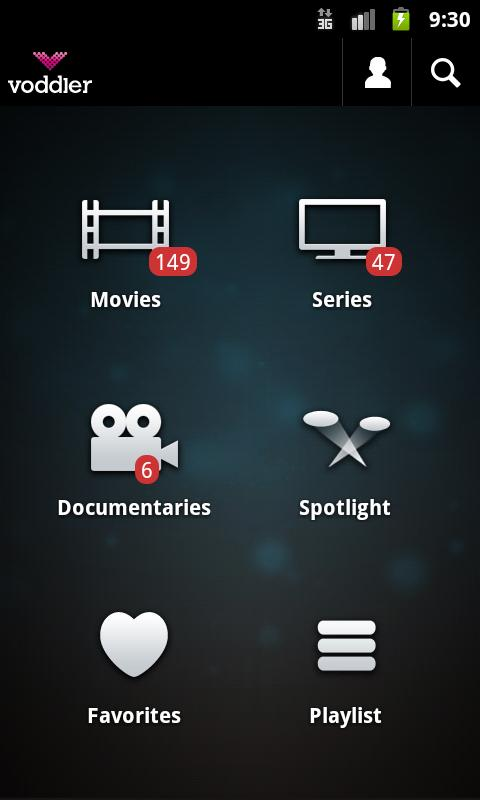 You can now play movies, series and documentaries directly on your Android phone with Voddler's app. 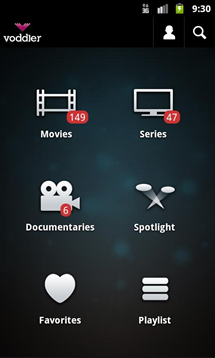 Watch a selection of the world's best films and TV-shows directly on your Android handset with this free app from Voddler. 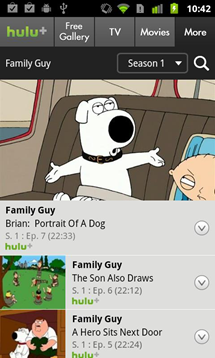 Download the app and start watching whenever or wherever you want. We offer titles from the world's leading entertainment companies, both rental titles and Direct Play-titles with advertising before the movie starts. 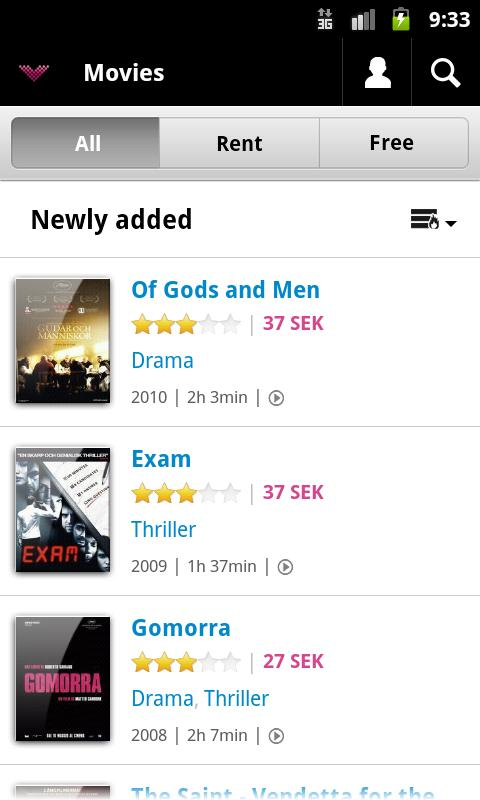 And come back often: we're adding new titles on a daily basis. Just browse, select and click play. 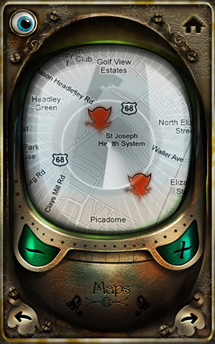 And please know that all Voddler-apps support seamless platform transitions: if you start watching a film in your Android-app, you can pick up exactly where you are if you change to Voddler on a computer or other device. Update: Apparently, Facebook claimed that the "f" letter in the icon looked too much like Facebook's own "f," which prompted Google to take the app off the Market. It should be back shortly with a new icon. 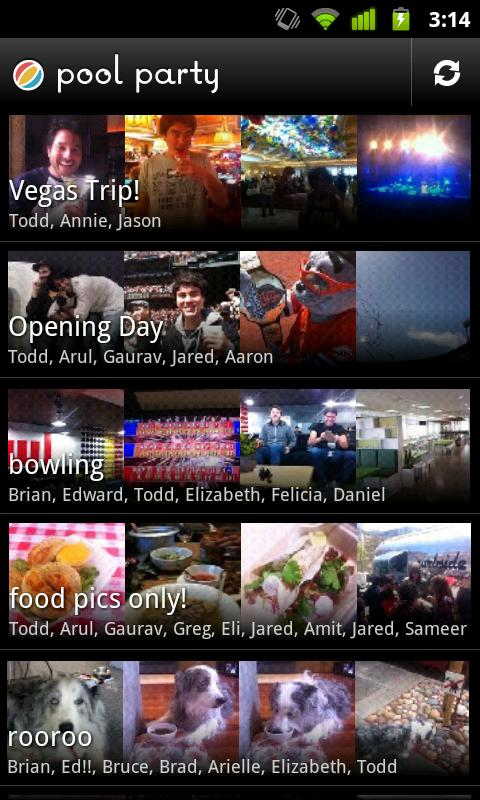 Friend Me is a Facebook client designed and created exclusively for the Android Honeycomb platform. 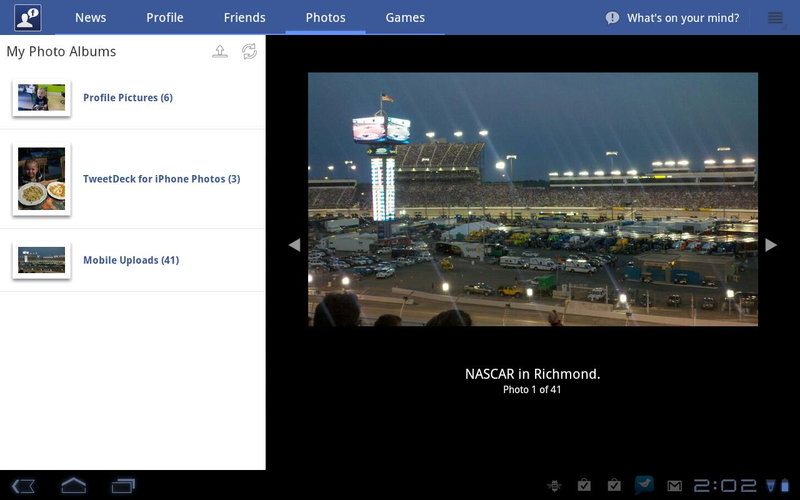 Friend Me offers a tablet-optimized experience for interacting with Facebook. 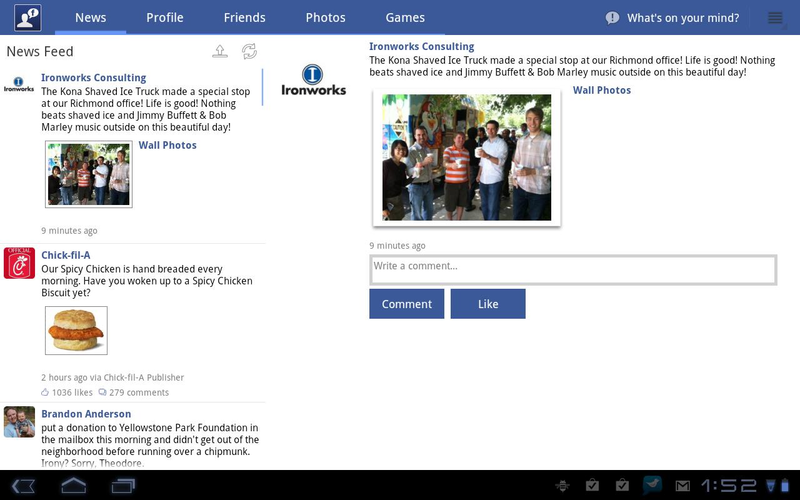 -- Interact with Facebook with an experience optimized for your Android tablet. 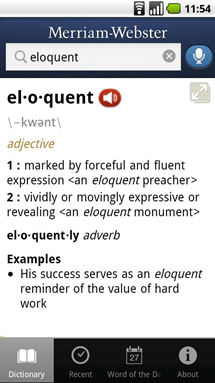 -- Submit status updates to post on your Facebook wall. 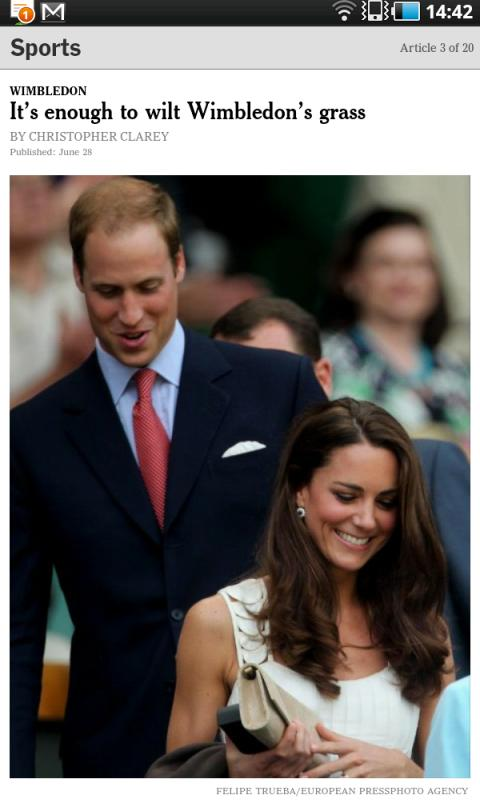 -- Read status updates from your friends in the News Feed. -- Read comments and likes on status messages. 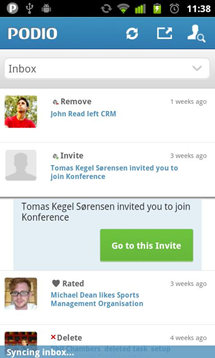 -- Contribute comments and likes on status messages. 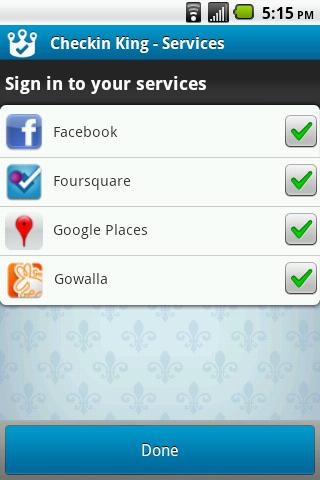 -- Take advantage of Facebook single sign-on if you have the official Facebook app instead. Otherwise, Friend Me will use the Facebook dialog authorization. -- View shared photos, links, statuses, checkins, and more directly in the app. Selecting external links gives you the choice of viewing the website inside of Friend Me, with an option to view in the tablet's browser. -- Access your profile information, your wall, and photo albums. Selecting a photo album lets you easily navigate through your photos. -- See your Facebook friends, view their profile information, and access their wall. 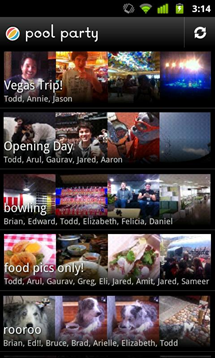 -- A Photo tab for exploring your photo albums in an exciting way. -- Friend Me offers a Games feature, which will let you play your favorite Facebook game inside of the app. 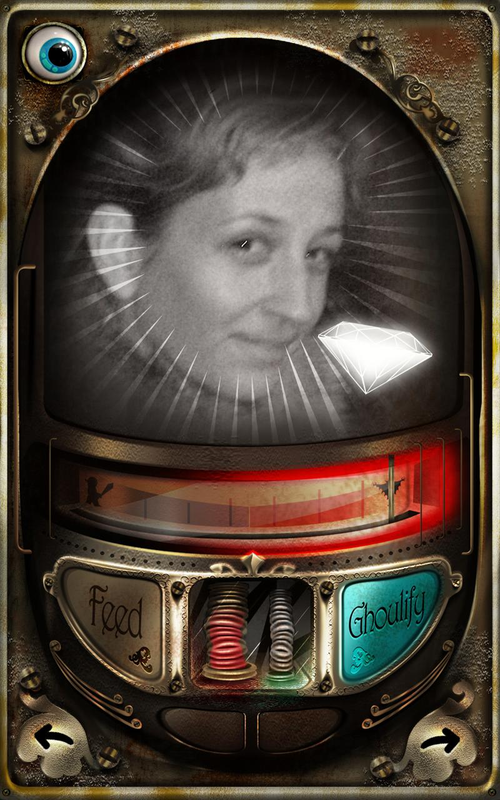 Flash games work as well, thanks to the Android platform. 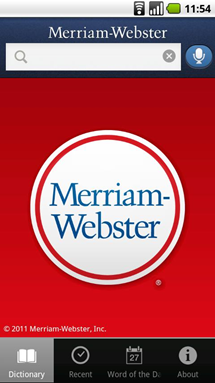 While Wikitude itself is not new, its Honeycomb support is. Augmented reality on a tablet - it doesn't get any better than that. 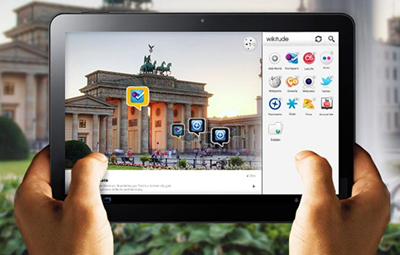 Wikitude World Browser is a fun, innovative and informative Augmented Reality ( AR ) platform allowing you to discover what’s around you in a completely new way. By using the camera, simply hold up your smartphone and explore your surroundings. Wikitude will overlay the camera’s display and the objects you look at with additional interactive content and information - really cool! Wikitude World Browser has been voted “Best Augmented Reality browser in 2010” ! 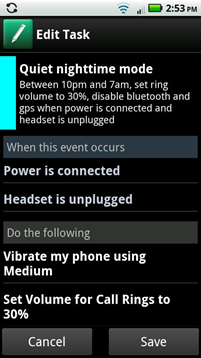 Qello brings the concert right to the fan. 30 Day rental for $4.99. What you are about to experience, has never before, been possible! 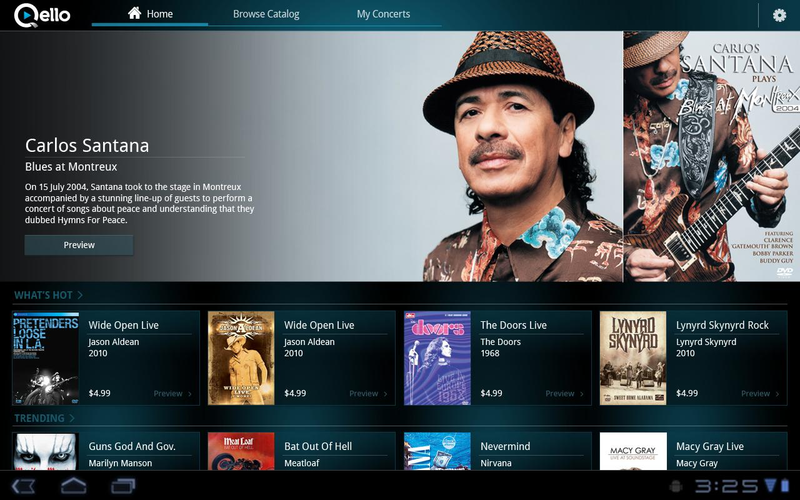 You are holding the world's largest catalog of HD live concerts - with more than 500 titles (and growing) – from the greatest artists of all time, to the very best of right now! For the first time, you can experience the power of HD live music in the palm of your hands from The Rolling Stones and The Doors, to Tupac and Eminem, to Kenny Chesney and Sugarland, to the hottest up and coming artists! For all those music history diehards, the “classic albums” (listed under documentaries) sends you inside the magical mystery mind of the creative artist themselves. 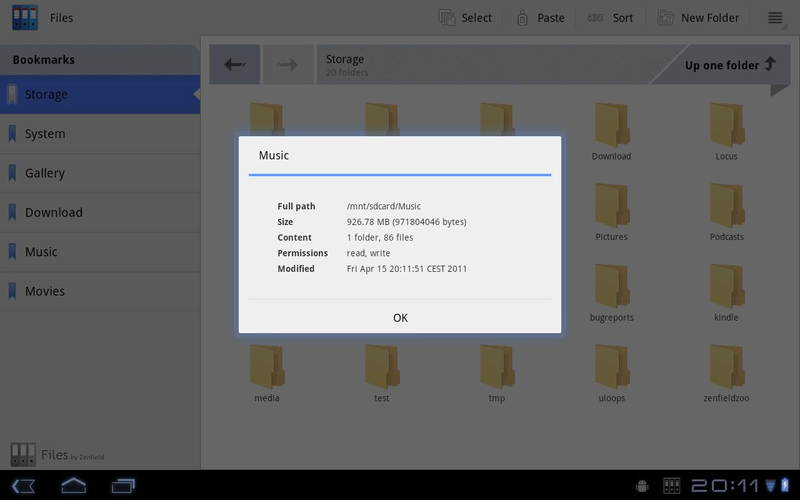 A beautiful and clean file manager, designed for Honeycomb. Use your tablet with style. 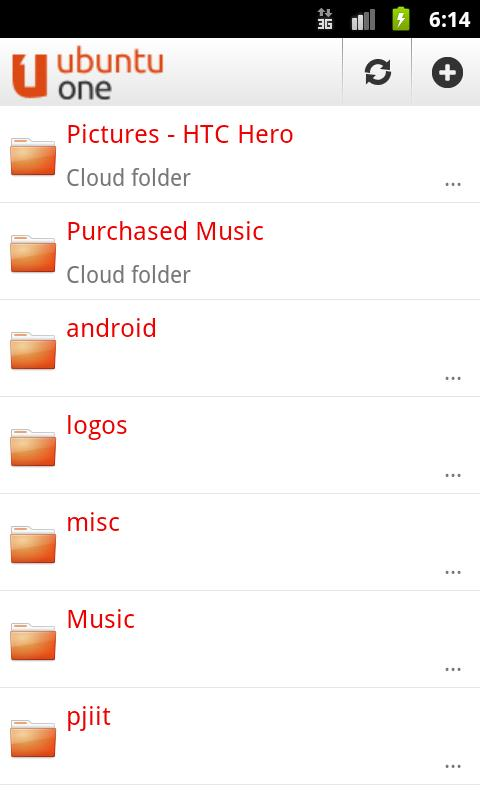 "This app looks just amazing - the first file manager that is well designed (a beta tester)"
"Finally a file manager written by someone who actually knows what he's doing. Safe file operations, no system crash while copying large files (anonymous user)"
Enjoy beautiful physics in your home screen. Customize object shape, material, gravity, background, size and touch action!. Rotate phone to change gravity orientation. Touch the screen for interaction. 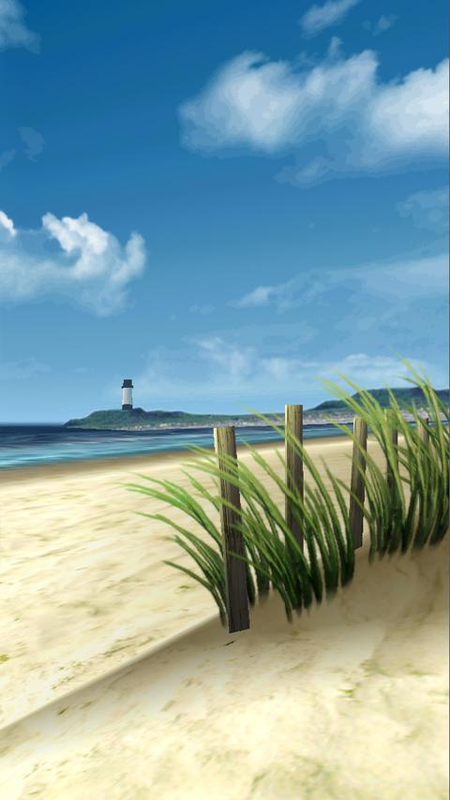 From the creators of Spring Zen and Celtic Garden, spend a relaxing summer day at your own private beach - everytime you use your device. 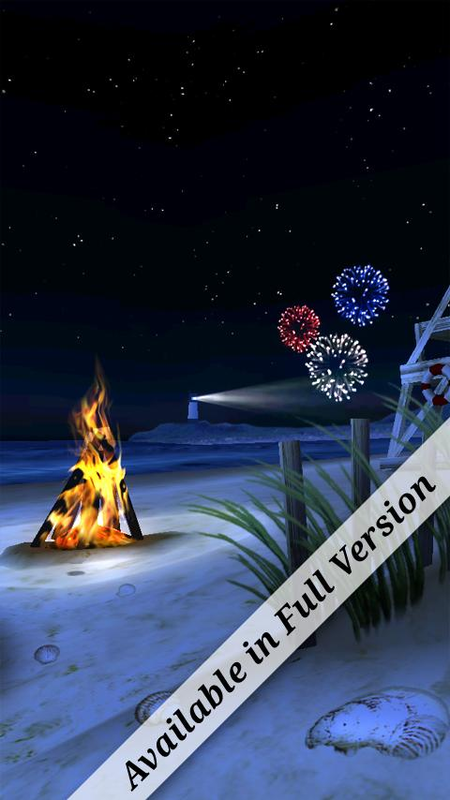 In the full version, you can choose the sign message on the beach, or hide the sign altogether - it's all up to you! Watch closely, and you may even see a shark! The full version also now includes Night time mode, fireworks, Independence day theme, and more - for the 4th of July, or all year round! You can customize every part of the scene in the full version, including the waves, sharks, aircraft, signs, umbrella, and more - thousands of possible combinations! You can also hide or show the items in the scene to create your own beach. 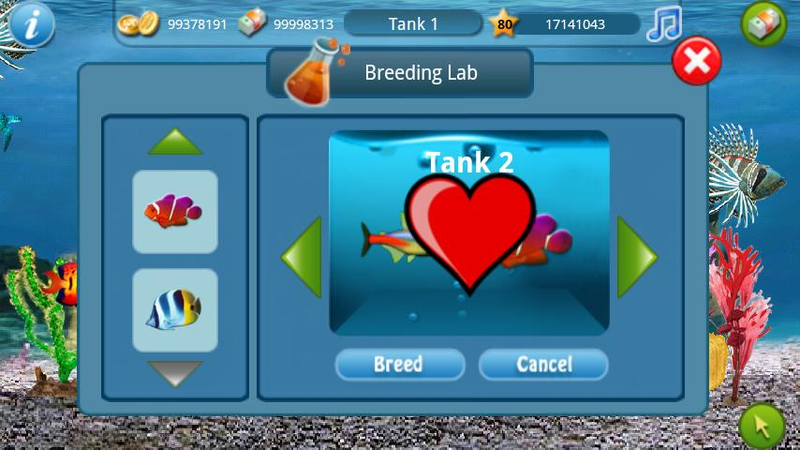 Or, select one of the preset themes and choose from the 'Private Beach', 'Family Outing', or 'Shark Sighting' themes. 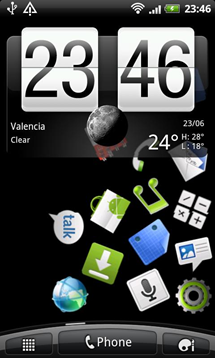 Rasdroid, one of the most talented live wallpaper devs (remember Tesseract?) now has an app that unites them all into one convenient package. 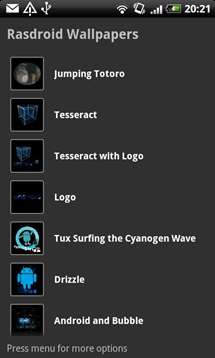 This is an early beta version of the Rasdroid Live Wallpaper library. Please report bugs and help us spread the word! 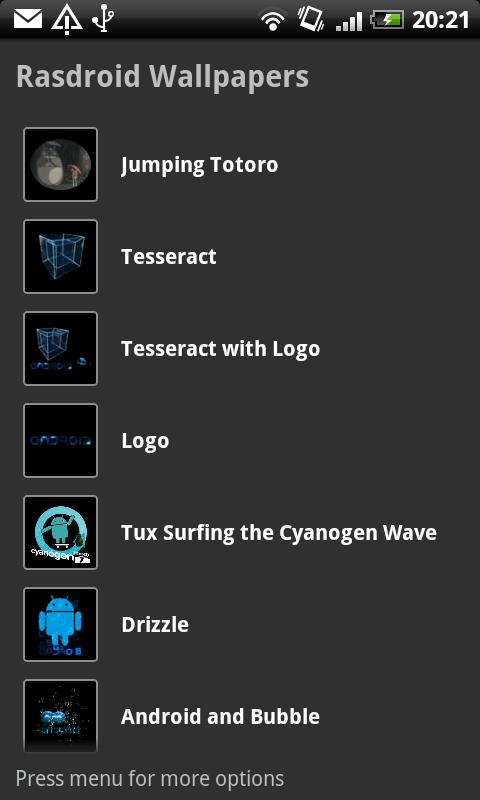 This app lets you download and install amazing Rasdroid live wallpapers. 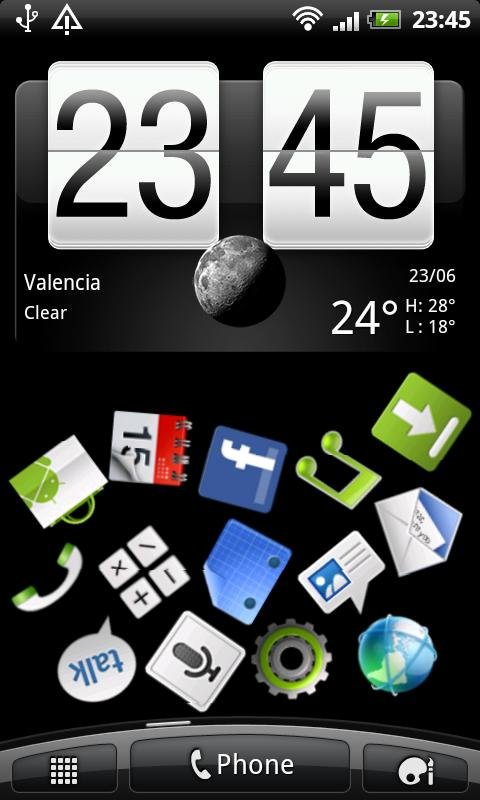 See www.rasdroid.com or https://www.youtube.com/user/rascarlo for more coolness.